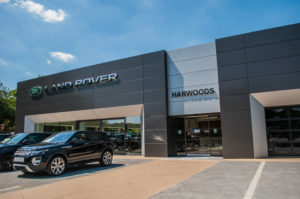 The Motor Ombudsman, the automotive dispute resolution provider, is pleased to announce that Harwoods Group, the long-established and family-owned retailer of luxury vehicles, has successfully extended its Motor Industry Codes of Practice accreditation to all of their South of England-based car franchise locations and Accident Repair Centres. The agreement sees a further eight Harwoods dealerships commit to the comprehensive Chartered Trading Standards Institute (CTSI)-approved Codes for Service and Repair and Vehicle Sales. Representing brands such as Aston Martin, Bentley and Jaguar across the counties of Sussex, Kent and Hampshire, they join the Harwoods Audi showrooms in Billingshurst, Portsmouth and Southampton, and Land Rover dealer in Basingstoke, which have been accredited to both Codes since 2016. In addition, the Harwoods Accident Repair Centres in Crawley and Southampton now adhere to the Service and Repair Code as part of the latest phase of accreditation. Being signed up to the Code of Practice for Service and Repair, as well as that for Vehicle Sales (the only Code of its kind to cover both new and used cars), gives Harwoods’ businesses several benefits. These include having individual profile pages on The Motor Ombudsman’s easy-to-navigate online Garage Finder (TheMotorOmbudsman.org/garage-finder), being able to display the trusted Motor Ombudsman and Approved Code logos at their premises and on marketing collateral for added customer peace of mind, having access to the body’s Alternative Dispute Resolution (ADR) service to help conclude customer disputes outside of the courtroom, and being able to participate in online training modules on key legislation.